Italian physicist and mathematician who studied the diffraction of light, for which he coined the name, and provided evidence for later physicists to support the wave theory of light. [p.667] GRIMALDI, FRANCESCO MARIA, an Italian philosopher, and a member of the order of Jesuits, was born at Bologna, in 1619. His education being completed, he was, according to Montucla, employed during several years in giving instruction in the belles-lettres; and during the latter part of his life he applied himself to astronomy and optics. He died in Bologna, in 1662, in the forty-fourth year of his age. Grimaldi was associated with Riccoli in making astronomical observations, and he gave particular descriptions of the spots on the moon's disk. It was asserted by Montucla that Grimaldi gave to those spots the designations by which they are now distinguished among astronomers; thus superseding the names of the mountains and seas of the earth which had been given to them by Hevelius: but this is apparently a mistake. 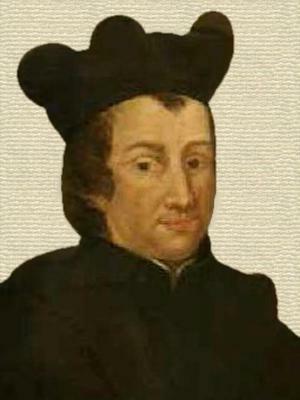 That which has given celebrity to Grimaldi is his work entitled 'Physico-mathesis de Lumine, Coloribus et Iride aliisque annexis,' which was published at Bologna in 4to., in 1665. The greater part of the work consists of a tedious discussion concerning the nature of light, the conclusion of which is that light is not a substantial but an accidental quality; the rest, however, possesses the highest interest, since it contains accounts of numerous experiments relating to the interference of the rays of light. A description of the work in given in the 'Philosophical transactions' for that year. Grimaldi, having admitted the sun's light into a dark room, through a small aperture, remarked that the breadths of the shadows of slender objects, as needles and hairs, on a screem, were much greater than they would have been if the rays of light had passed by them in straight lines. He observed also that the circle of light formed on a screen by the rays passing through a very small perforation in a plate of lead was greater than it would be if its magnitude depended solely on the divergency of the rays; and he arrived at the conclusion that the rays of light suffer a change of direction in passing near the edges of objects: this effect he designated 'diffraction.' By Newton it was subsequently called 'inflexion.' He found that the shadow of a small body was surrounded by three coloured streaks or bands which became narrower as they receded from the centre of the shadow; and, where the light was strong, he perceived similar coloured bands within the shadow: there appeared to be two or more of these, the [p.668] number increasing in proportion as the shadow was farther from the body. Grimaldi also observed the elongation of the image, when a pencil of light from the sun is made to pass through a glass prism: but he ascribed the dispersion of light to irregularities in the material of which the prism was formed; and he was far from suspecting the different refrangibilities of the rays. The discovery of this fact, which has led to so many important consequences in physical optics, was reserved for Newton. 2 Apr - short biography, births, deaths and events on date of Grimaldi's birth.